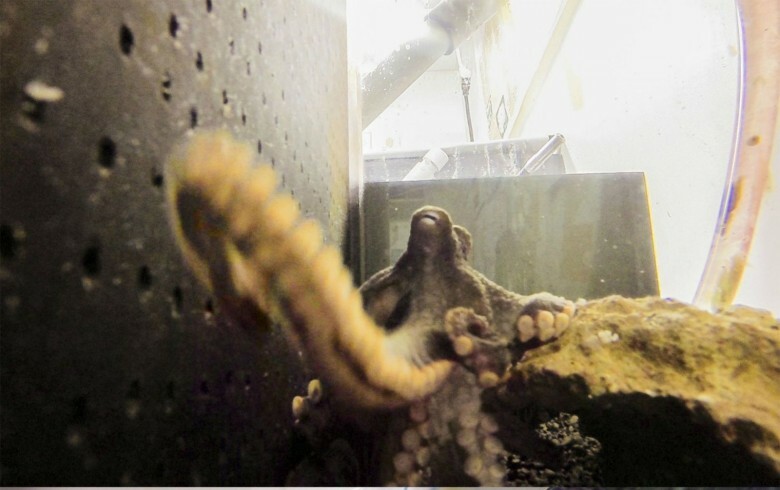 This giant Pacific octopus didn't want to let go after meeting a new visitor. Who knew watching a guy get a bunch of hickeys would make interesting television? 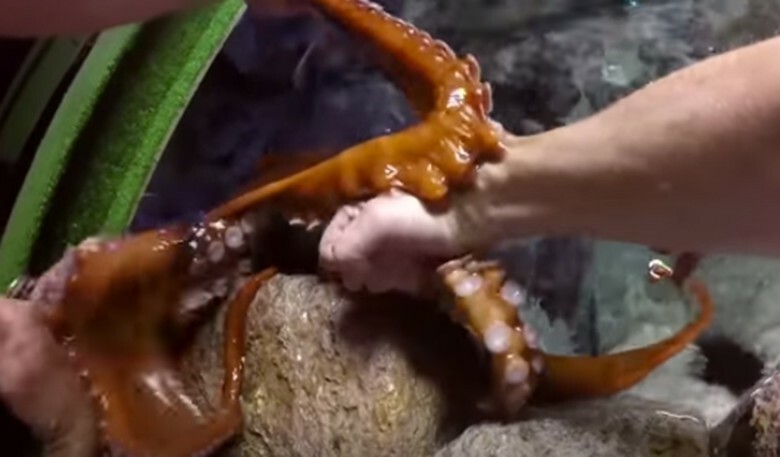 When the affection comes from a giant Pacific octopus, you can’t help but be a little jealous of Matt Baker, a presenter for the BBC’s new Big Blue Live series. GoPro may have a new celebrity endorser, but he seems like a real sour pus. 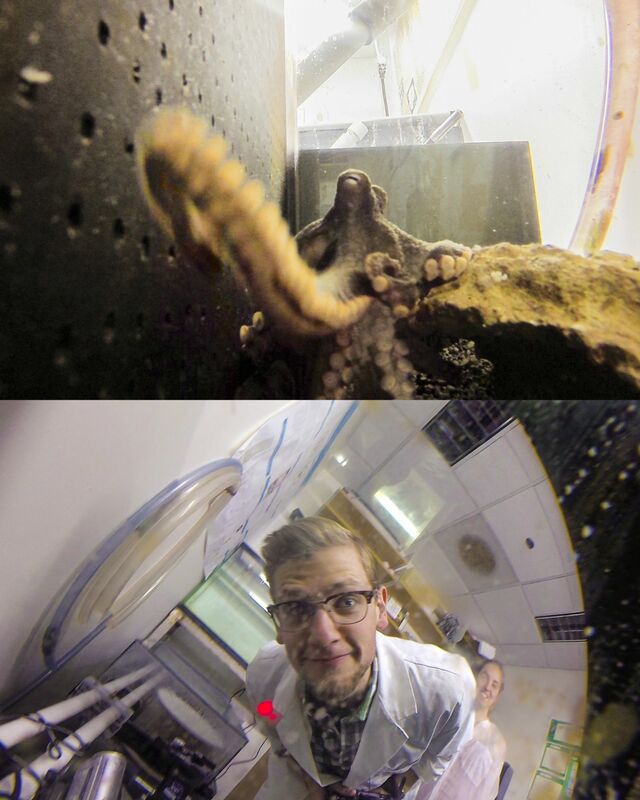 An octopus in the neuroscience lab at Middlebury College apparently did not like having a GoPro placed in its tank. It turned the camera around on his photographer before trying to eat it. Benjamin Savard, a digital media producer for the College, retrieved the camera and was surprised to discover the photos, which he posted to Reddit following Monday’s shoot.